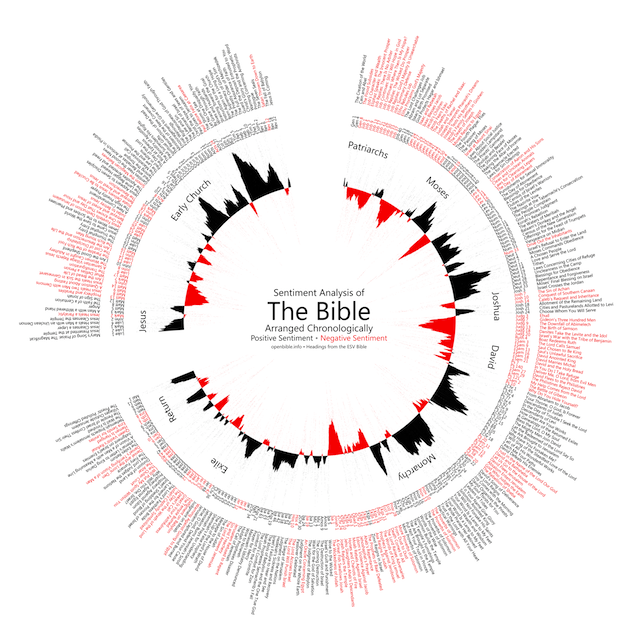 Thanks to notcot #43,852 for the heads-up to this fantastic infographic :: A Sentiment Analysis of the Bible :: arranged chronologically (top) and by book (above). According to the post on OpenBible.info... "Sentiment Analysis" involves algorithmically determining if a piece of text is positive (“I like cheese”) or negative (“I hate cheese”)... in essence black symbolises positive sentiment and red symbolises negative sentiment. I don't get the math behind it... the graphic "arranged by book" uses a moving average of 5 verses on either side whereas "the chronological visualisation" uses a moving average of 150 verses on either side... but I like the way it looks... I have a real soft spot for fab infographics and hope to create my own in due course... for work and the like. What's more... 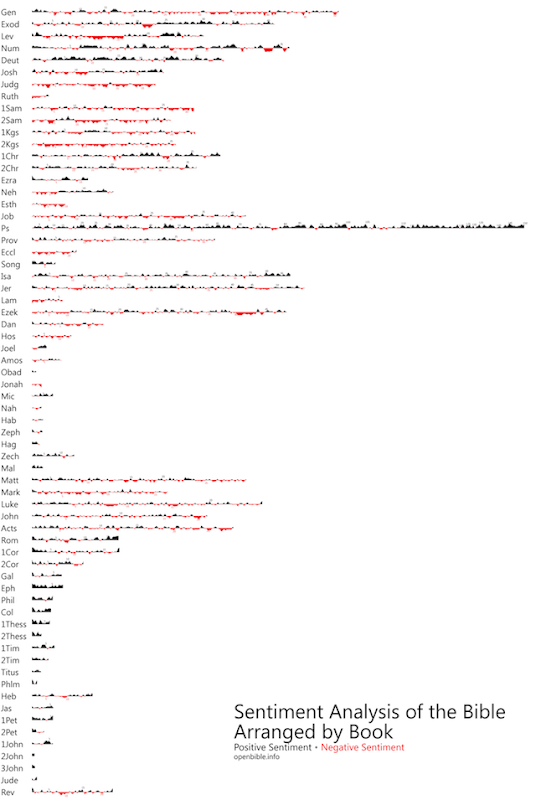 I love the fact OpenBible.info is giving away full size versions of the graphics for free. I really fancy the chronological visualisation on my wall in my wee computer room... and am grateful for their generousity. Anyway... check out the article and download the full size versions.